Oh me, oh my. I blinked my eyes and 2016 was done. I set myself three goals for this year and achieved only one: I attended writing group fairly consistently, missing only a few. I’m long past the point of being disappointed when I don’t hit a writing goal. 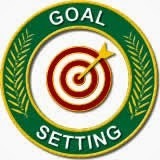 What did bum me out is that I wasn’t disciplined enough to review my goals more than once since December. It’s important to review goals at least once a quarter to stay focused. This November, Macaroni and Cheese for Thanksgiving was released by Guardian Angel Publishing (GAP). This was totally unexpected, so I had to make time to promote the book once it came out. I still have a few copies available for review if anyone is interested. You can email me at ccmal(at)charter(dot)net. Please put “Mac and Cheese” in the subject line. One of my goals was to finish this middle grade novel by the end of the year. That didn’t happen, but I am now in the middle of Chapter 16, so there’s progress. I sat on the planning committee for WriteAngles again this year. We ended up having an agent slot open, so I snagged it. I’ve met enough agents at this point that it is no longer intimidating and practice is always good. I pitched Amelia’s Mission and she helped me polish my query letter. That leaves my edits for The Sisterhood as a totally untouched goal from 2016. This is the first full-length novel I completed. It needs a lot of editing, which I didn’t get to this year. I’m going to hold off on it for now. It’s too large of a project for me to commit to tackle in 2017. I truly want to get Amelia’s Mission finished first anyway. Searching for Popularity is an incomplete manuscript that I changed from memoir to young adult novel. It probably won’t garner much of my attention until Amelia’s Mission is done. A New Home (chapter book) – Romeo, Juliet, and Peter are three abandoned kittens searching for a new home. Crabby Cathy (picture book) – Cathy is a mean girl who shoves people around in the schoolyard and takes things that aren’t hers. But when Amy and Chloe decide to befriend this bully, they see a side to Cathy they didn’t know existed. Everybody’s Home for Christmas (chapter book) – Rachel is sad that her military father isn’t around for Christmas like the other dads. With some encouragement from her mom, she spends the days putting together a care package to send to him in Afghanistan, and before she goes to bed each night she prays for his safe return. Will Rachel experience a Christmas miracle? The Real Cinderella Story (picture book) – A snarky story of Cinderella told by one of her sisters. Amos Faces His Bully is under contract with Guardian Angel Publishing. Wouldn’t it be great if an illustrator took on that project and it released in 2017? That is my hope. Considering my real estate work schedule and my family commitments, I am keeping it simple again this year. Participate in Picture Book Idea Month in January. I’ve participated in this endeavor twice, which resulted in Macaroni and Cheese for Thanksgiving being published, Amos Faces His Bully being under contract, and four other picture books written. I’m game to do it again. Submit two short stories this year. Contribute to Guardian Angel Kids e-zine once this year. Seek out guest blogging opportunities once a quarter. Write four chapters of Amelia’s Mission by June. Are you setting your goals for 2017 yet? Want to share any of them?